The first Monday in July is Constitution Day in the Cayman Islands. This holiday celebrates the day of adoption of the first constitution of the islands in 1959. 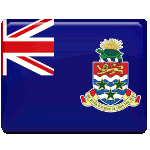 British took control over the Cayman Islands since 1670. Till the 1730s the islands were largely uninhabited, but this situation was changed after the start of mass settlement in the 19th century. In 1863 the Cayman Islands officially became the colony of Jamaica. Jamaica gained independence from Britain in 1952, but the inhabitants of the Cayman Islands wanted to be a protectorate of the British crown. The islands officially gained status of British overseas territory. Adoption of the fist constitution in 1959 was a very important event in the history of the islands. The constitution granted women suffrage and determined the boundaries of self-administration of the territory. Celebration of the Constitution Day allows citizens of the islands review their constitution. The constitution will be made available in public libraries. Additionally, people, who can answer the questions about the constitution, will be available at many locations.